Samarkand flat bread is famous for its inimitable in its taste and features not to get stale for a long time. Real Samarkand bread should be eligible during three years. So, one should sprinkle the bread with water and warm it in tandyr (clay stove, where flat bread is baked). In modern conditions one can do it with the help of the microwave or common stove. It was known that the Bukharian emir liked Samarkand bread. Once he puzzled his courtiers and ordered that Samarkand bread to be baked in his court. So, the best bread baker was asked in Samarkand. “Emir ordered to come!”, hi was brought to the palace, “now you will bake bread here”. He had to implement the order. But, how the master tried, the bread did not turn out so taste, so soft, as he baked in Samarkand. Bread baker thought, that the matter was in Samarkand flour, or in Samarkand water, but may be in the tandyr from Samarkand earth. So, all ingredients were brought to the master, but again and again the flat bread had absolutely another taste. What was the matter? “May be Samarkand air is another”. – thought the master and the courtiers. But it was not possible to transfer the air. The master was left, because it was useless to bake Samarkand bread in Bukhara. So flat bread has been brought to Samarkand till today. There is a tradition, if you go anywhere, take Samarkand bread as a present. When you break the bread, you touch to the history of ancient city, because the recipes have been made for centuries. 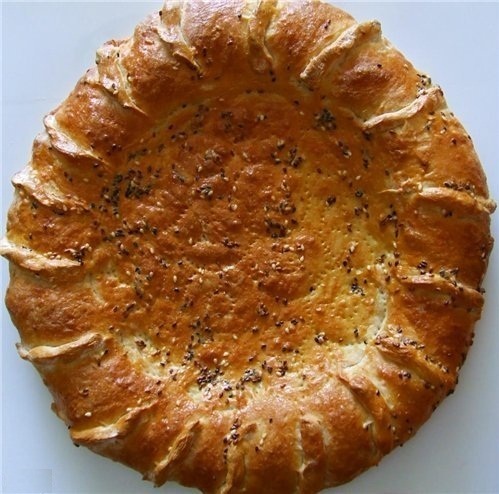 It is difficult to calculate the types of Samarkand bread: they were baked in special recipe in every region. They are patyr, obi-non tunuk, kulcha, katlama, chap-chak and etc. 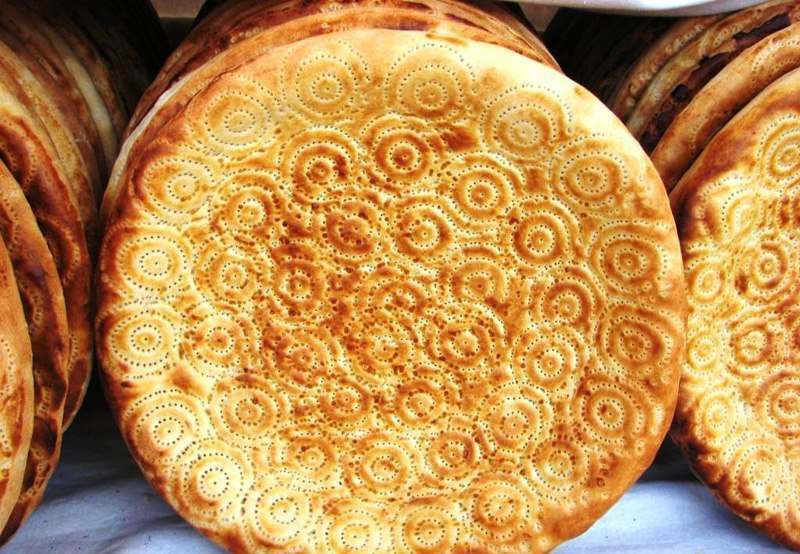 There are special kinds of bread in Samarkand. They are of big size and have original decorations. This “bread is long-lived”, it is not only the decoration, but a present like a souvenir.